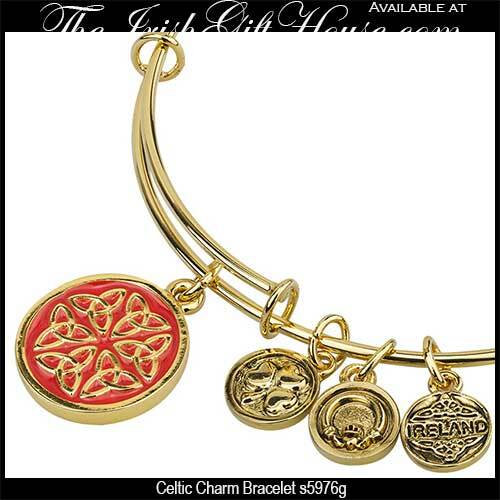 This gold plated Celtic bracelet is a expandable wire bangle that features a 5/8" wide charm with Trinity knots that is enhanced with red enamel. Additional charms are the 3/8" wide Claddagh and shamrock along with a Celtic knot enhanced Ireland charm. The bangle is designed to fit most women's wrists; it is crafted by Solvar Jewelry in Dublin, Ireland. 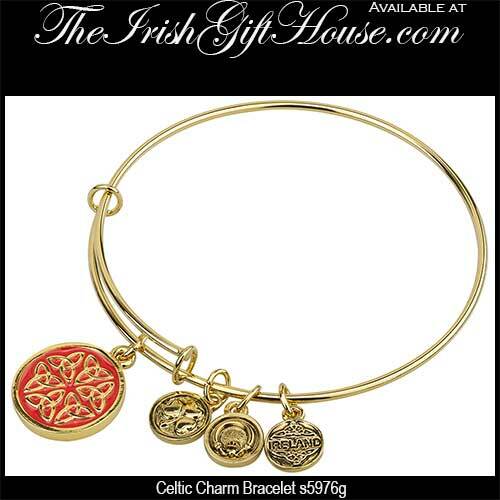 The Celtic charm bracelet is gift boxed with the respective history cards, complements of The Irish Gift House.